Micromax Canvas Spark Q380 is the phone that was released with 4.7 inches display covered by Corning Gorilla Glass 3 technology. Here are the official drivers for this phone. Micromax Canvas Spark Q380 has good camera results including 8MP Primary camera with LED flash and 2MP secondary camera. The phone has 8 GB internal memory with 1 GB RAM and also support micro-SD card upto 32 GB. It has long lasting 2000 mAh battery supporting quad-core 1.3 GHz cortex-A7 processor. It support dual-sim mechanism and include WLAN, Bluetooth, GPS, Radio and USB in communication portion. 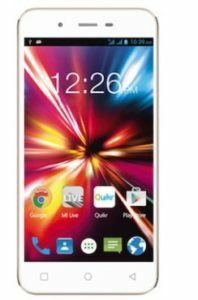 The price of Micromax Canvas Spark Q380 in Pakistan is 6,500. Download and install the above Drivers for your device and enjoy.